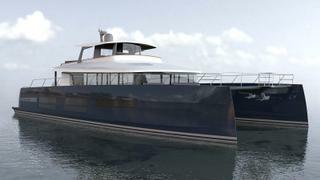 French yard JFA Yachts has announced that it has begun construction on a 24 metre catamaran motor yacht, which will expand its Long Island collection. 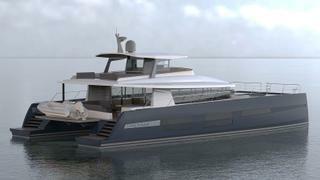 Currently known as the Long Island 78 Power, the new model was developed in collaboration with long-term design partner Marc Lombard. Vital statistics include an 11.17 metre beam and a maximum draught of just 1.24 metres — making this an ideal option for those looking to enjoy some shallow water cruising. JFA added that the hull will be built from aluminium, while lightweight composites will be used for the superstructure. The interior décor will be developed by Franck Darnet Design from a mixture of oak and darker timbers. Accommodation is for up to ten guests split between five staterooms, including an owner’s suite and a guest cabin in the portside hull and three further cabins in the starboard hull. The main deck is comprised of a saloon, dining area, galley and navigation area, with the main helm position situated on the flybridge. 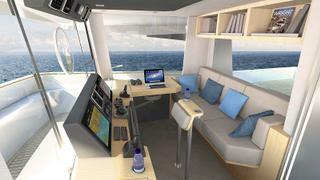 In terms of al fresco relaxation, guests will be able to choose between the sheltered cockpit or the spacious foredeck. Other key features include a hydraulic platform for launching the yacht's tender.